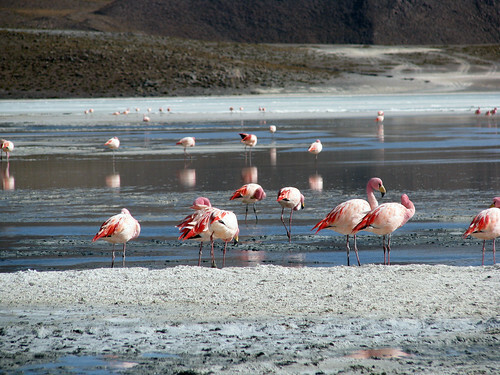 Flamingos!, originally uploaded by lorien. Laguna Hedionda. Volcano, originally uploaded by lorien. 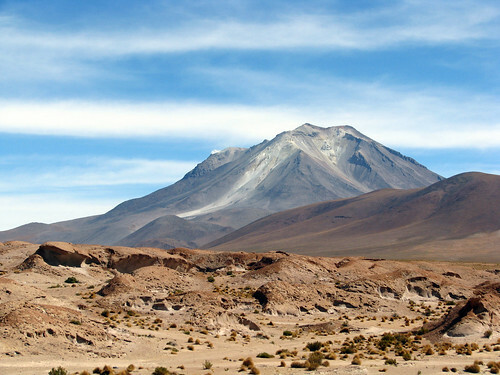 Early in the second day of the tour of the Uyuni region, this volcano was visible for much of the trip. Taken 23 July, 2009.